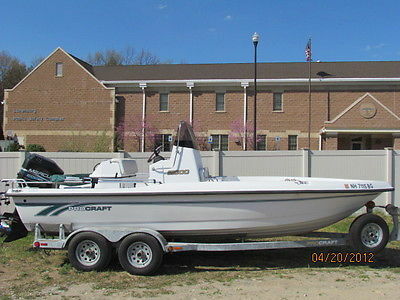 Selling my 1984, 14 ft Procraft fishing boat so I can buy a different boat. 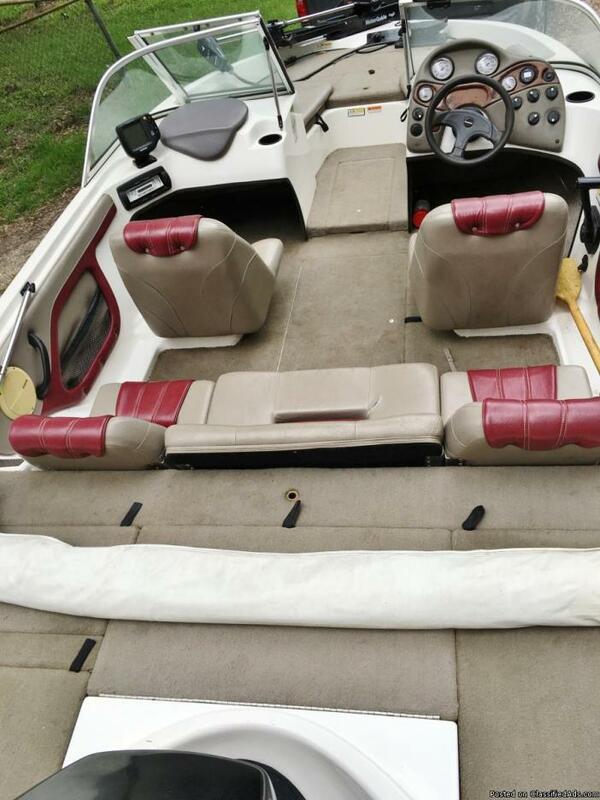 Boat is in very good condition. Nothing wrong with it. Carpeted flat floor. 2 removable pedestal seats. Small live well/bait well with pump and drain. Bilge pump for the boat. Newer foot controlled Minn Kota trolling motor 50 pound and new fish locator are included 100SX by humminbird. All lights work. 50 horse Mercury motor runs great, has 130 pounds of compression on each cylinder, new plugs. Always starts. Electric start in addition to the pull cord. 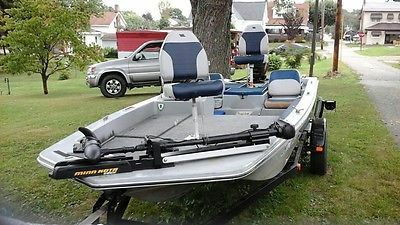 This really is a great little fishing boat. It is not an old row boat converted into a fishing boat, it was built as a fishing boat by the manufacturer. Trailer and gas can included. 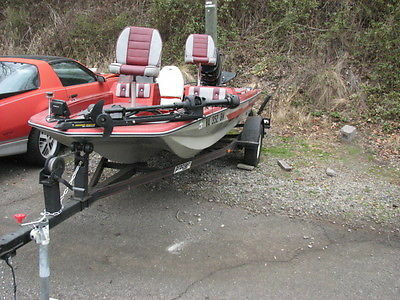 Boat is located in Bassett, VA 24055 with like new batteries in it. Call Dennis with any questions at 276-340-0197. I have clear titles in hand for boat and trailer. Ready to fish. 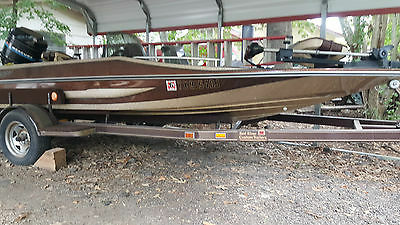 1999 Procraft 21 Foot Center Console Boat with 200 Hp Mercury - Marina Maintained. I bought this bought 3 years ago on a whim. It went right to the Hampton Marina in Hampton N.H. & has been there ever since. 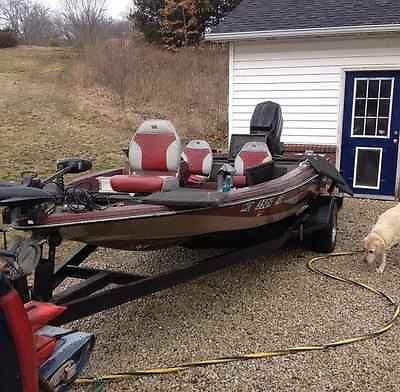 In the 3 years that I have owner it, it has probably been out on the water for less than 10 hours. 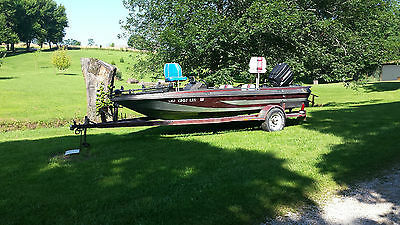 If it does not sell by the spring I will put it on the trailer & bring it back here to sell. The marina has maintained it for me including washing & waxing every spring. 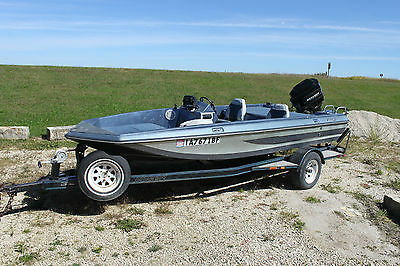 It comes with plenty of extras including a state of the art GPS/Fish Finder. We have also had them add a battery kill switch & a few other items. 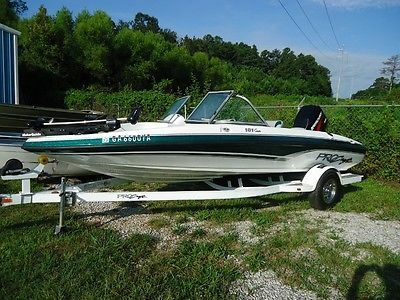 Please call me at 978-407-6718 for more details or to set up an appointment to see the boat. 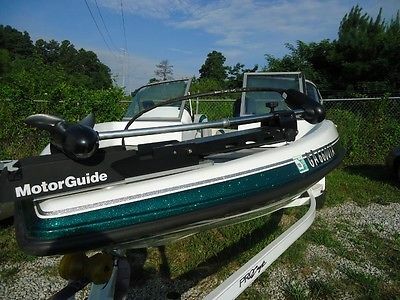 1987, 16' procraft boat , minnkota edge trolling (93) motor with foot controls * 90hp mercury engine *humming bird fish finder 535 * humming bird LCR3004 FISH FINDER * cabelas proseries ip67, battery maintained system * batteries only 1 year old I AM SELLING THIS FOR MY FATHER IN LAW,DOES NOT HAVE TIME TO USE IT ANYMORE, BOAT AND TRAILER ARE IN GOOD CONDITION, OIL INJECTION SYSTEM DOES NOT WORK SO HE HAS BEEN PREMIXING GAS,HAS TWO BLEMISHES IN REAR CORNERS BUT OVERALL A GREAT INEXPENSIVE FISHING BOAT. 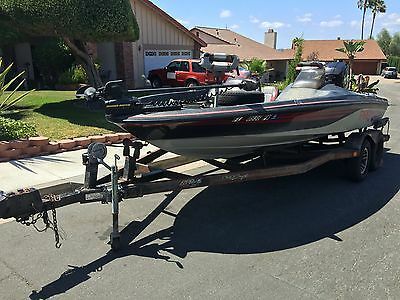 1999 Procraft Fish & Ski 18ft Boat. 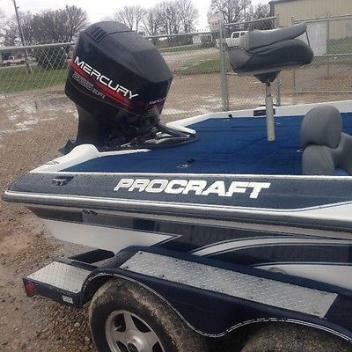 150hp Mercury motor. Runs great. 832-963-3824.